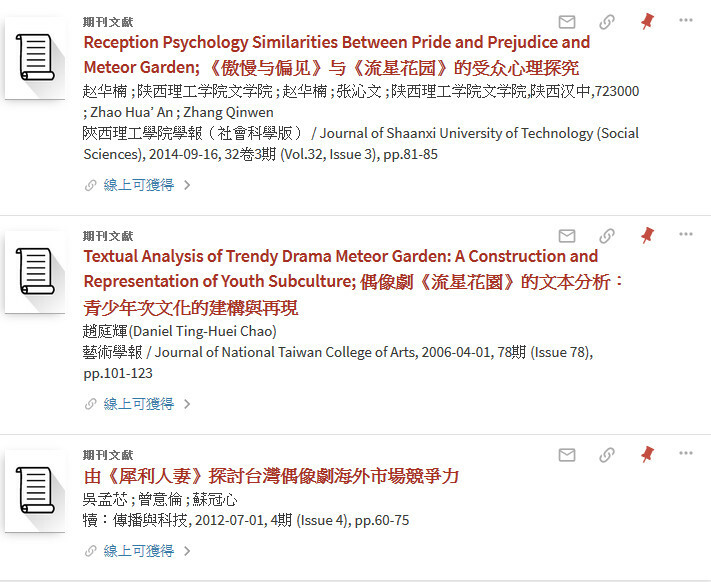 “Meteor Garden” is in National Chung Cheng University, it’s not in NTU in Taipei! Heryanto, A. (2008). Popular Culture in Indonesia : Fluid Identities in Post-Authoritarian Politics. Hoboken: Taylor & Francis. Chen, Y. (2008). Looking for Taiwan’s Competitive Edge: The Production and Circulation of Taiwanese TV Drama. In TV Drama in China. Hong Kong University Press. Setijadi, C. (2005). Questioning Proximity: East Asian TV Dramas in Indonesia. Media Asia, 32(4), 197–205. Chen, C. (2013). Is the Video Game a Cultural Vehicle? Games and Culture, 8(6), 408–427. Huat, C. (2004). Conceptualizing an East Asian popular culture. Inter-Asia Cultural Studies, 5(2), 200–221. Otmazgin, N. (2005). Cultural Commodities and Regionalization in East Asia. Contemporary Southeast Asia: A Journal of International and Strategic Affairs, 27(3), 499–523. Tai, Y., Downing, J., Kapur, J., Han, D., Zhao, Y., & Zhou, H. (2013). Development or dependency? 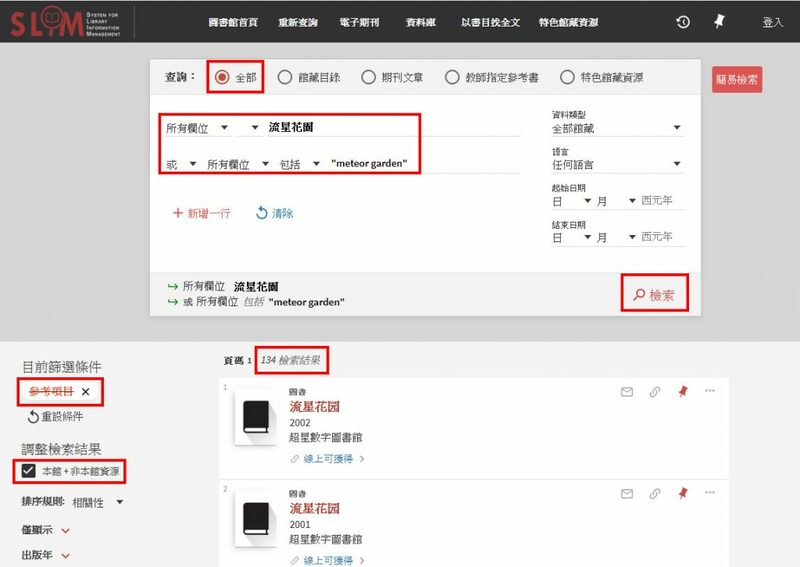 The emerging Chinese culturallinguistic TV market and idol TV drama in Taiwan and China. ProQuest Dissertations Publishing. Chen, C., & Yano, C. (2012). Familiar strangers afoot in Taiwan: The competing social imaginaries of East Asian tourists. ProQuest Dissertations Publishing. In conclusion, Meteor Garden is not in NTU! It is in National Chung Cheng University in Chia-Yi. So, don’t make mistake like other tourists. 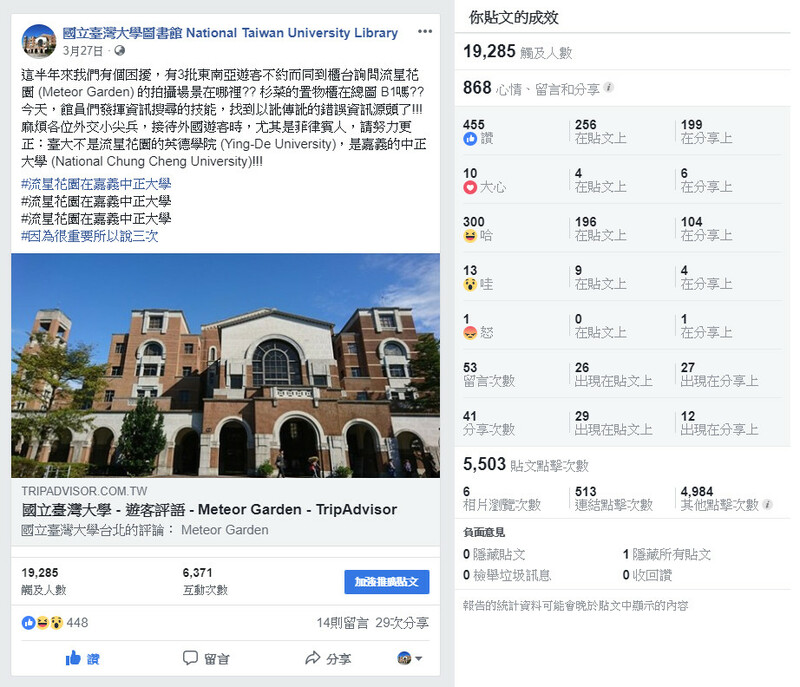 Meteor Garden (流星花園) real-life university – National Chung Cheng University (國立中正大學). 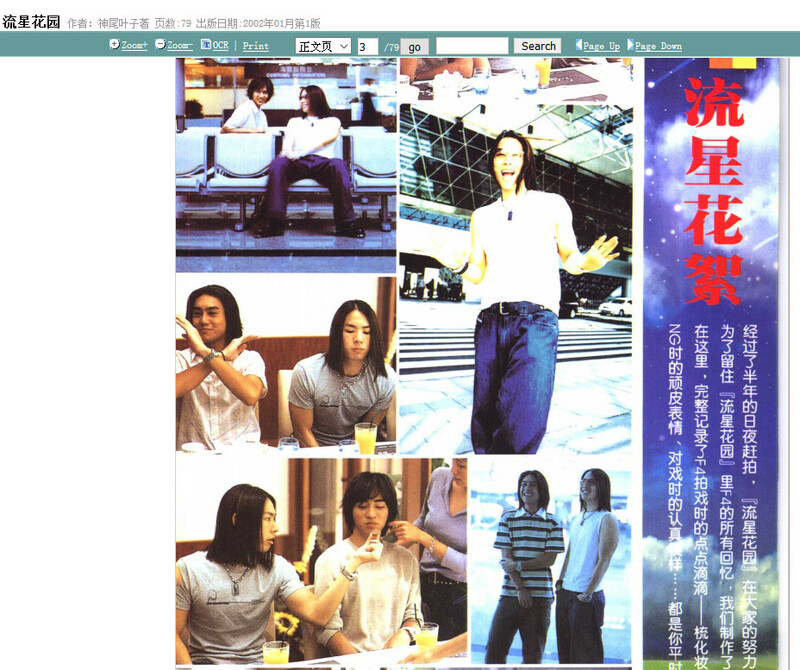 Taiwan: Meteor Garden’s Ying De University | National Chung Cheng University. This entry was posted in Google 查詢技巧, 精選主題館藏選介, 館藏目錄+整合查詢系統 and tagged F4, Meteor Garden, National Taiwan University, NTU, tour, 偶像劇, 傳播, 戲劇, 文化, 旅遊, 東南亞, 流星花園, 流行, 網路資訊, 臺大, 臺大校園, 臺灣, 觀光. Bookmark the permalink.